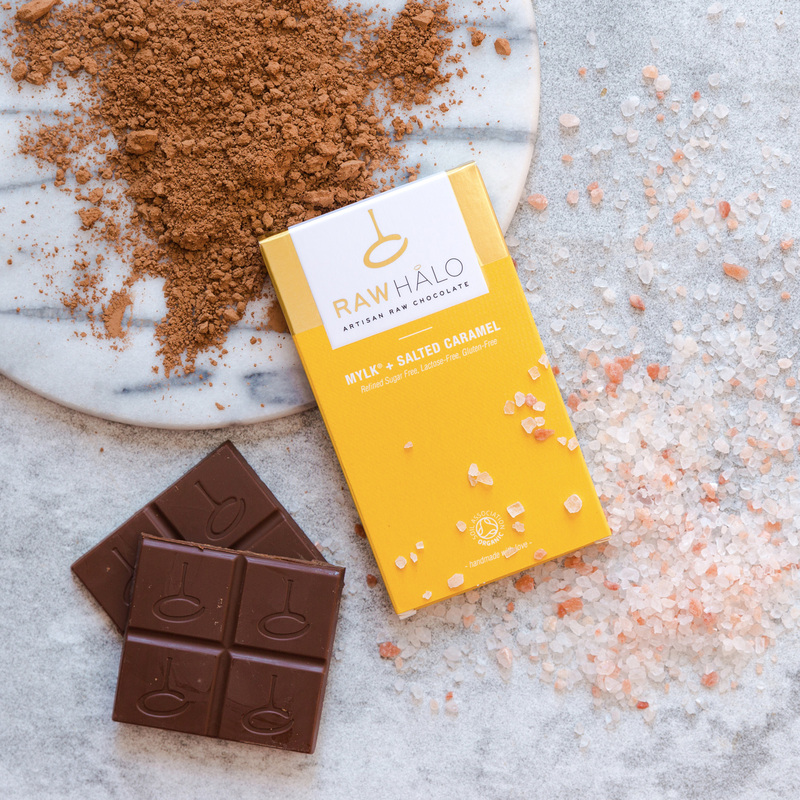 Our Pure Mylk raw chocolate infused with natural organic caramel extract and added pink Himalayan crystal salt makes this our most indulgent bar. Made with only organic ingredients. Available in a pack of 3 x 35g bars. 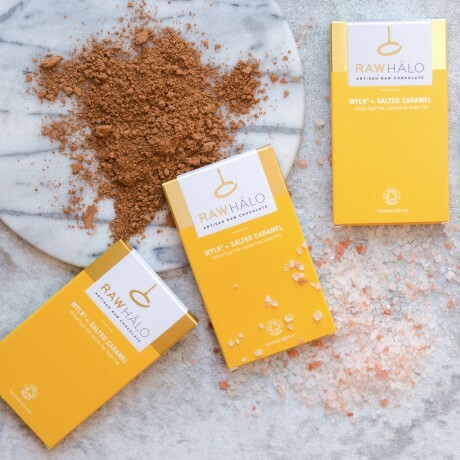 Raw cacao butter*, coconut sugar*, raw cacao powder*, cashew nuts*, lucuma powder*, inulin powder*, pink Himalayan crystal salt (0.6%), pure caramel extract* (from raw dairy cream 0.2%), vanilla powder*. *Certified organic ingredients. Cocoa solids 57% minimum. For allergens see ingredients in bold. Not suitable for nut allergy sufferers. Looks really nice and arrived very quickly! Really lovely little gift for my vegan mother! My package did arrive a few days later than expected which is frustrating after paying £8 for next day delivery. But I haven’t dropped my rating as I think that was the courier company and not the supplier. All in all very happy and my mum loved them. Thanks! My original order was never delivered so they sent another without any quibble. Very fast delivery & excellent customer service. Bought vegan chocolate for my daughters birthday so she hasn’t seen them yet but o know she ll be thrilled as I bought her the Easter egg Easter time. I ate a mixture of all there flavours the chocolate is subtle creamy to take made with cacao butter coconut sugar so body friendly ways of a daily 2-4 squares indulge - marketing of the brand is very appealing and pleasant a positive feel-good experience. My friend said the packaging was pretty and that she loved the gift! Delicious chocolate- what more needs to be said? My favourite chocolate! What's not to like healthy chocolate that tastes like chocolate! Free Standard delivery on orders over £25 by Raw Halo. Seller's Promotions: Free Standard delivery on orders over £25 by Raw Halo.